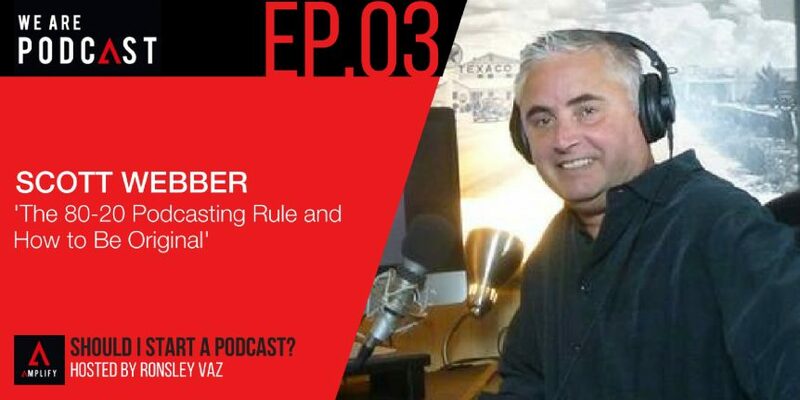 Scott Webber is a Podcaster and Podcast Evangelist from the Greater Vancouver area. He is the creator of one of the top ranked podcast in iTunes – “Not Bad For Dad Podcast”, with listeners in over 85 countries and monthly downloads in the tens of thousands. “Not Bad For Dad” is a resource created to help Dads adopt skills, develop tools and acquire the knowledge to build a solid and successful life. Dads are encouraged to free up time so they can really connect or reconnect with the most important people in their lives – their kids! What did Scott Achieve so far as a result of creating a podcast? How podcasting help his business? How can someone get involved with Podcast Vancouver? What’s his difference to other Dad show podcast? What’s the reason why podcasting is hot right now? “Knowing what I know now, you need to be consistently getting help. Do not try to do everything yourself. Getting a VA, they're not that expensive and they can take a lot of the things that you don't like to do off your plate. Having systems in place to be organised, because otherwise it's a huge chore and you are going to ask yourself is it worth it? “Think about what you're saying. I'd like to bring up too, you know we are always talking about business podcasters. Podcasts that help to promote a business or if you're an entrepreneur will help you. But I believe that a podcast has a huge opportunity for comedy, for drama, for old time radio. I think there's a huge market and I think there's going to be a big shift. Well, it depends on my mood because I go through the spectrum. I'm a huge Tim Ferris fan. But, when I don't want to learn, if I just want to know and be entertained or maybe inspired a little bit, I still listen to “EOFire”. “Life on Fire” with Nik Unsworth. When I still want to learn I still love Lewis Howes. Technical, “conversion cast” Tim Paige. That's a great resource.